Description: The New Testament book of Hebrews offers some of the most memorable passages of Scripture on perseverance, faith, rest, the word of God, angels, divine discipline, salvation, the city of God, and Christ, Son and High Priest. Much of its text has spoken with remarkable directness to peoples of all nations down through the centuries. At other points it has remained a difficult argument, even, so it is said, a riddle. This is a commentary for those who want to follow what this book says--follow it both in terms of understanding it and living it. The book is divided into thirty-seven units and each unit is discussed in terms of literary context, background, wording, themes, and possible lines for teaching the text. The commentary is written for any adult reader, whether they already align with Hebrews' faith or are merely curious. It is a serious discussion, but also direct, to the point, and uncluttered by qualifications and technicalities. Whether you are self-studying or preparing to teach or lead discussion, this book is prepared for you. 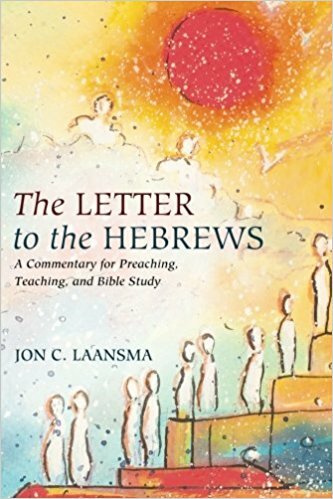 Citation: Cynthia Long Westfall, review of Jon C. Laansma, The Letter to the Hebrews: A Commentary for Preaching, Teaching, and Bible Study, Review of Biblical Literature [http://www.bookreviews.org] (2019).